Project Handover at Glenwood Green, Belfast. 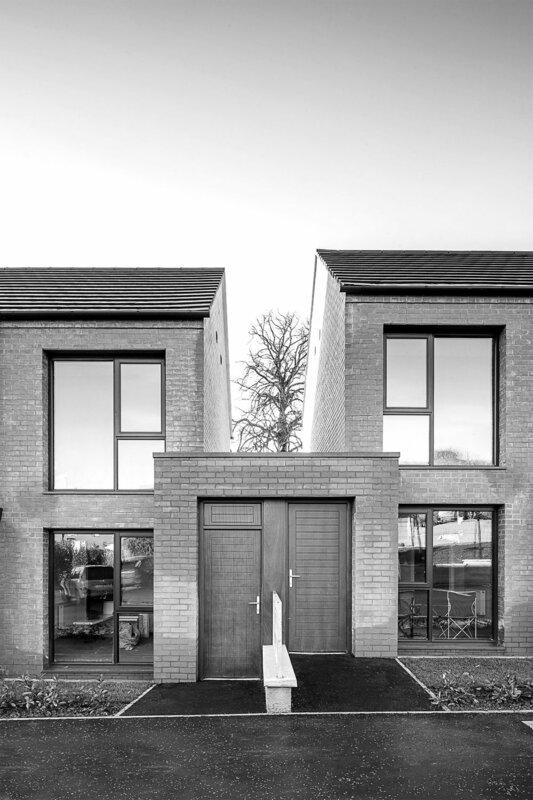 Rolston Architects are pleased to see the handover of another successful social housing project working alongside Clanmil Housing Association and Hugh J. O'Boyle Contractors. The Development consists of 06 residential units to meet Lifetime Homes and Secured by Design standards. 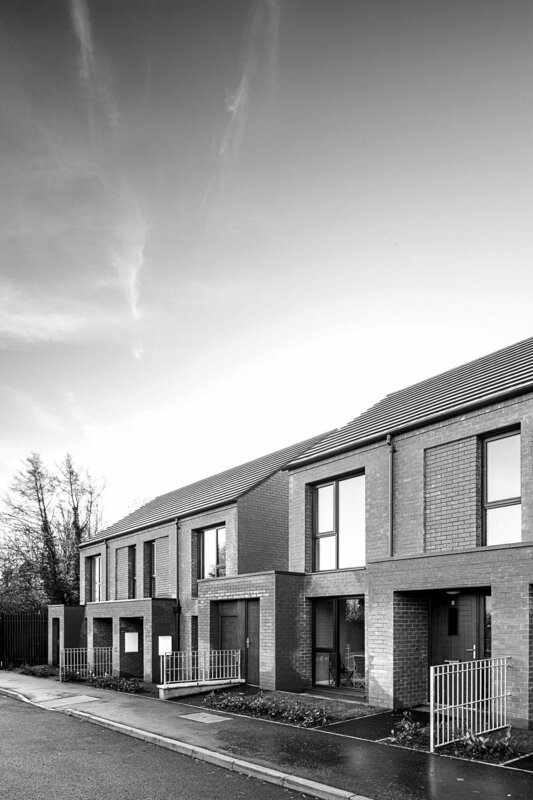 Our concept was to create an understated housing development which draws material inspiration from the local context and make a positive contribution to the character of the area. The strong robust building form has been designed to take account of the hard urban grain that the houses sit within and the use of simple, well thought out brick detailing through-out the scheme further draws on a ‘simple but solid’ theme. The scheme is a hybrid between terraced and semi-detached typologies. Our intent was to achieve the highest density possible while at the same time ensuring that space, separation and difference were built in to scheme through massing; the arrangement of the dwellings; the grouping of accesses and the expression of materials.